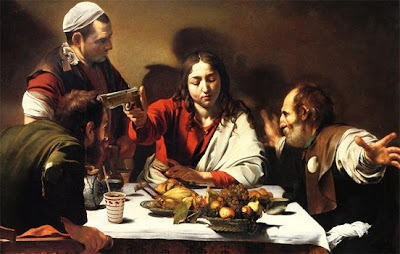 I am honestly not up to blogging today but these artistically manipulated photos that I came across while surfing the net earlier is what prompted me to do this post. 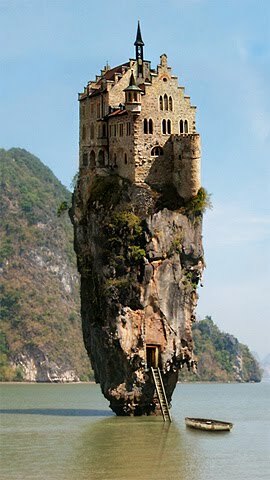 Seriously, if you are a millionaire, do you think building up a castle on a lonesome rock like this is a rational idea? Opss! Don't take this the wrong way. Like I said these are just but product of one's wild, awesome and sometimes crazy imagination. Jan Olihoek, author of these manipulated photos above is a Dutch man from Leiden, Netherlands. See more of his arts here.